Programs are available for every age. All programs are free but registration is usually required and often limited. Sign up for any program by calling Young People’s Services at (518) 274-7071 or sign up online. Storytimes – Storytime is offered at both the Main Library and Lansingburgh Branch for children up to the age of 5 with a parent or caregiver. We will share stories, rhymes, songs and simple crafts. 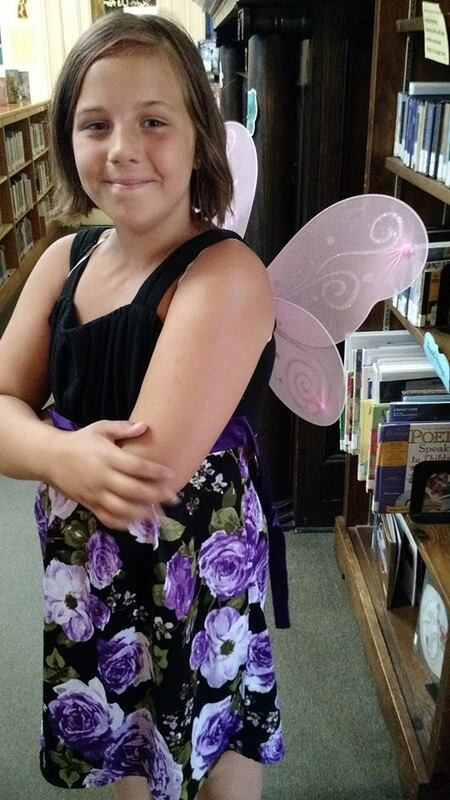 Summer Reading Club, a yearly summer project, encourages kids to read and keep track of books read over the summer, and to attend summer programs at the library. Special bookmarks, prizes, and certificates are awarded to participants. Programs are offered throughout the year. Ask for a current list of events or check our online event calendar. Resources: ALA’s best websites for Kids, Bookopolis, Beginner reading videos at Storyblocks. Young People’s Collection: Fiction and Non-fiction materials are available including magazines for kids and a parent-teacher section. The fiction is divided into chapter books, easy readers, picture books, and toddler books. Bibliographies are available on a number of topics. We also have a large selection of Braille books to choose from for children of all ages. Please note: Children have access to all of the materials in the library. Our staff may not and will not refuse to check out materials to a borrower because of his or her age. The exception is videos; patrons under the age of 18 may only borrow videos if accompanied by a parent. Ultimately, parents are responsible for their children’s choice of materials. Young Adult Collection: Popular fiction, classics that often appear on school reading lists, and current non-fiction of interest to teenagers can be found in the “YA” collection. Some of the most asked-for titles are shelved in a special YA section located on the first floor to the left of the DVDs. They are easily identified by the bright yellow “YA” stickers. Computers: There is a PC available to young people in this department. Children can sign up for a half-hour time slot. A variety of software programs are available. Word processing and Internet access are available on a Children’s Terminal in the Main Lobby. The library Internet and Computer Policy requires a parent or guardian signature for patrons under the age of 18, and parents/guardians are responsible for monitoring their child’s use of this resource. Children under 8 must be accompanied by a parent or guardian at the computer. Group Visits and Tours: Tours of the main library as well as storytimes or book talks for school classes, scout troops or other groups at any of our locations must be made in advance by calling Young People’s Services at 274-7071. Visits to Schools: Staff from the Young People’s Services Department are available to visit a classroom or school to promote the library and reading. Visits are traditionally scheduled toward the end of the school year to encourage participation in the summer reading club, but can be scheduled at any time during the school year. Preschool Lending Library: Nursery schools and day cares can apply for an institutional card, which can be used to check out a classroom collection of picture books. Volunteers: The Young People’s Services Department has opportunities for volunteers, student interns, and scouts earning badges. Child Policy: In the interest of safety it is the library’s policy that children under seven may NOT be left unattended at any time.